Weight lifting is practiced as a sport in different parts of the world. However, this sport requires a lot of training and practice before you can declare yourself as an expert or a professional. A person who has put in his sweat and blood into weight lifting training deserves a free certificate of achievement or excellence. In order to do that, you need to take a look at these weight lifting certificates. All you have to do is get your hands on the right one! 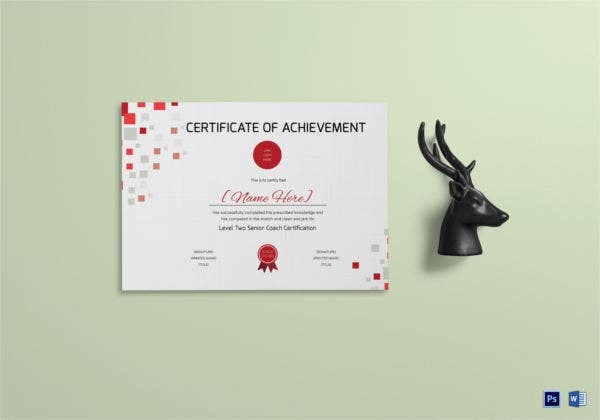 This certificate template comes in a standard size with allowance for bleed, a print ready format, Word and PSD formats, CMYK colour mode, a fairly high resolution of 300 dpi and easy customisation of text and colour. 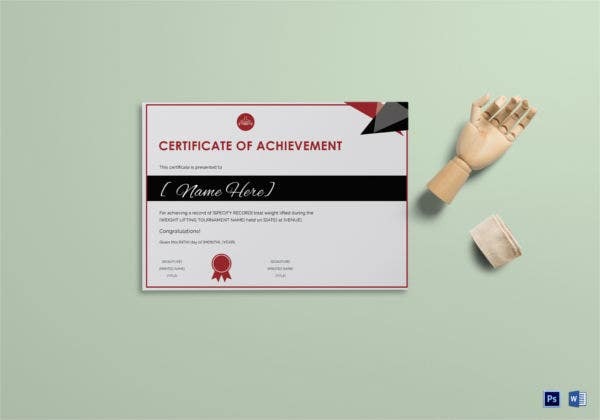 This weight lifting certificate template has been kept as simple and minimalist as possible. It is completely devoid of any kind of fancy design and consists of just a simple border. 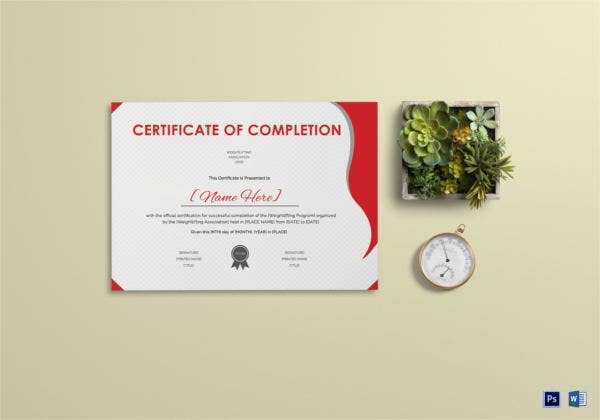 The playful design in the weight lifting certificate template here certainly makes it look all the more attractive. Plus, the template comes in a print ready and easy to customise format. This weight lifting certificate looks stunning because of the predominantly red theme maintained throughout. Plus, it comes in a standard size with allowance for bleed. Also, it is 100 % editable and customisable. The first thing you notice about this weight lifting certificate is the well defined and boldly written name on it. Of course, this is fully customisable and you have the font provided here as a sample. > Why are Weight Lifting Certificates Awarded? Weight lifting is one of the popular sport activities in the present age. Now, before you can even practice weight lifting as a profession, you will need sufficient training. When you complete your training program, you will be awarded a certificate of completion. This certifies that you are eligible to practice as a professional weight lifter and even take part in championships. The more championships you take part in, the more experienced you become and the more accolades and awards you win. That is why weight lifting certificates are awarded – to ensure that the profession grows and expands. 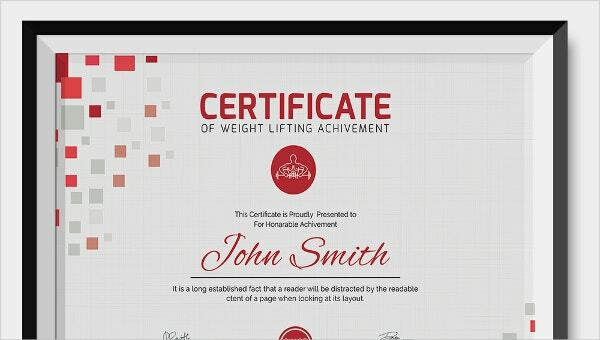 > What makes these Weight Lifting Certificates so Special? The templates are extremely easy to use. If you’re worried that you might find it challenging, you’re mistaken. As long as you know how to operate Word, you should be able to use the templates. The templates come in either a Word format or a PSD format. The sports certificates you see here come in a format that is ready to print. That means, once you download one, you can start printing your certificates. Are you interested in weight lifting or are you undergoing training for it? 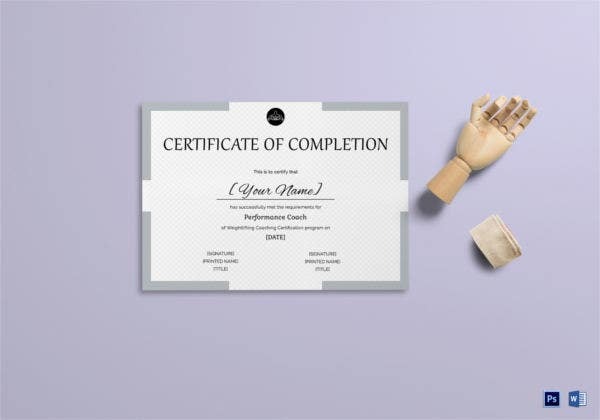 In that case, you would certainly find these weight lifting certificates handy and practical. 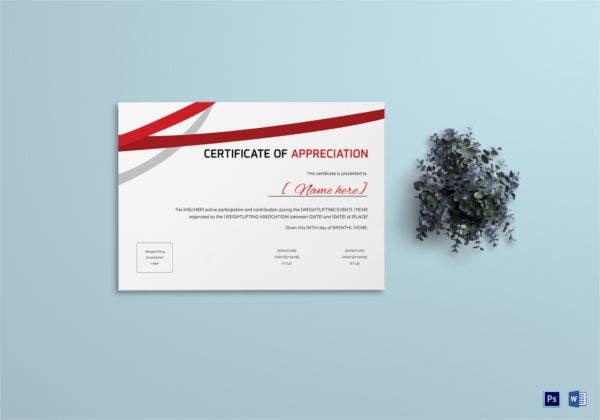 The templates here are attractive, appealing, well-designed, neat, tidy, minimalistic, practical, easy to customise and edit, print ready and to the point.